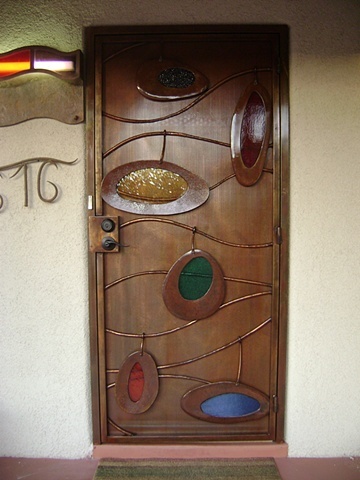 This awesome door combines metal and art glass. The glass pieces appear to be hanging in their metal frames. Each piece of glass is cushioned by silicone rubber. It is a great of example of collaboration with Goldbaum Stained Glass.